What is the Difference Between White Amur and Grass Carp? Nothing. But in Ohio, and most states throughout the country we are talking about the sterile version of this amazing and useful fish. A native of the Amur River in the extreme climates of Siberia, the grass carp was so named here because it is a rare example of a truly herbivorous fish that can survive on plant matter alone, like cows and other ruminant livestock. A fish that feeds like an aquatic cow is quite unique among fishes anywhere. The White Amur has been a mainstay of Asian aquaculture for centuries, and is able to be raised on post-harvest rice straw in flooded fields. It’s role as a dietary source of protein is measured in hundreds of millions of pounds in overseas lands. It’s role in this country is quite different, and popular stories trace the beginnings back to the likes of Bing Crosby, and his love of the game of golf in the southern U.S.. This is where White Amur were imported to control algae growth in ponds along the fairways. They were called into this role for aquatic vegetation control around the country and were probably shipped to all the states for that use. In addition, catfish farms were becoming established down south and amur found a place there for their abilities. About the same time, biologists were starting to understand the importance of wetlands (formerly known as swamps) in our eco-systems, and the need to protect these under-valued areas. They also began to suspect that maybe two hundred years of importing and releasing non-native fish species into the wild was probably not a good idea…but there was a new technological out for the White Amur. It was discovered that sterile triploid White Amur could be produced by a brief pressure treatment on their fertilized eggs. Putting the eggs into a strong canister with a simple hydraulic bottle-jack setup like car mechanics use to seat bearings, the hyperbaric condition caused many of the first cell-divisions to retain an extra set of chromosomes. This is triploidy when 3 sets of DNA are in every cell instead of the normal diploidy when only 2 sets are there. 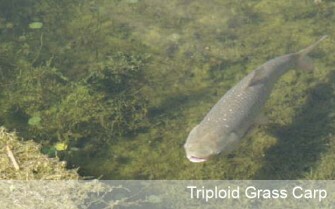 This triploidy renders the fish sterile, and after the fish reach six inches or so in size, a blood sample is taken and put in a medical analyzer (a Coulter Counter) that can detect the slightly larger red blood cells of a triploid fish. Problem solved!…and now the fish biologists and state wildlife agencies had a new management option for aquatic vegetation control in lakes and ponds without the worries of non-native reproducing fish populations or the continued use of toxic herbicides that was so prevalent. The southern roots of White Amur continued to grow as isolated ponds and fish farms started to produce sterile triploids from their natural diploid brood stock. Other states could now employ restrictions that would only allow the importation of sterile triploid fish from these southern growers. The Ohio Division of Wildlife (ODW) took the bait in 1987 to allow the importation of sterile triploids amur into Ohio. The US Fish and Wildlife Service also got involved to certify each interstate shipment of triploids before the trucks left the south. This arrangement has continued to the present day, and demand has remained strong. 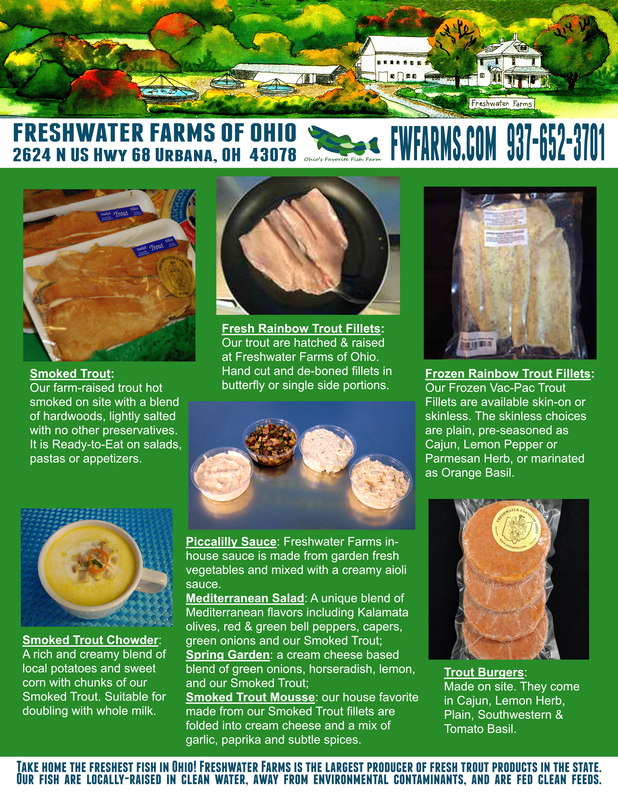 The very first informational sheet the ODW produced to introduce these fish to the pond-owners of Ohio contained some early “best guesses” on stocking rates and recommendations based on the size of ponds and lakes. These estimates also contained some predictions that northern climates would require fewer amur per acre than they did in the south, as well as a bit of cautionary approach. Three to five amur per acre was advised, even though other experiences in warmer climes had found 10-15 amur per acre was more normal. It wasn’t long before the ponds of Ohio showed that 10-15 amur per acre was still the mark. Thousands of pond stockings and decades later, field experience has shown that higher average stocking rates were necessary, and in the cases of older ponds that are more fertilized and nutrient-rich, a doubling of the rate to 20-30 amur per acre is needed. Golf course ponds that are well-fertilized from turf applications and are purely decorative are routinely stocked at 30-50 or more amur per acre. This seems to be a practical limit and a few experimental ponds used for irrigation purposes have been stocked up to 100 amur per acre, where the results were rapid, but the population of amur could not be sustained. So where are we today with our understanding of the use of White Amur? 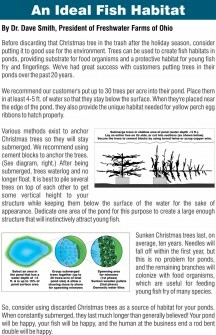 We know that the amur have definite preferences for various aquatic plants. They have their favorites: duckweed, water cress and water celery, and they have their less favorite “vegetables”: water lilies, Chara and filamentous algae. Unfortunately, watermeal is not controllable by White Amur. We also know that by increasing stocking rates, amur will eat their “vegetables” after their normal favorites are gone, and that may require a doubling of the original rate. We know that nutrient levels in the pond or lake affect the growth rate of aquatic vegetation and hence the number of amur required to keep up with that pace. On the flip side of heavy vegetation, the plants can remove a large percentage of the pond nutrients (nitrogen and phosphorus, for example) and water clarity around the plants is high, but the lack of planktonic organisms means the basis for the aquatic food chain is “locked up” in plants and not very available to fish fry and food organisms. The consumption of aquatic plants by amur releases these nutrients to the phytoplankton and increases the natural productivity of the pond, including catchable fish, but water clarity will be less. We know probably the biggest benefit of amur as a biological control versus the use of chemical herbicides is the spawning and reproduction of other desired fish species in the pond. While larger fish can tolerate copper-based compounds for example, it is well known that they are devastating to small fry and their microscopic food base. We know that managing a fishing pond with a small amount of vegetation (5-15% of the pond area) may be ideal, but it is very hard to strike a sustainable equilibrium with amur in the real world. The fish do continue to grow and eat throughout their normal 15-year life span, and this changing dynamic is in addition to seasonal and year-to-year differences in rainfall, number of sunny days, and temperatures that influence how the vegetation will grow. Additional re-stocking of 1/3 of the amur population every 5 years is a good long-term strategy in practice to continue a proper level of control. We have developed a strategy of habitat enhancements with brush pile construction that can stabilize the amount of vegetation and cover for young fish species, feeder species and their food sources. This enables a pond to be more sustainable and to naturally support the recreational value of the pond. 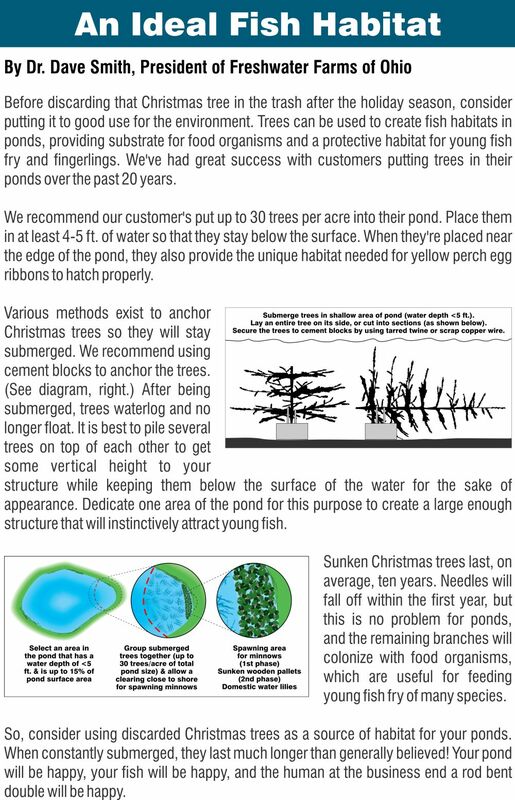 We have also found through trial and error that a single large brush pile constructed of about 30 “Christmas Trees” or evergreens per acre of pond surface to be adequate for these purposes. These brush piles function best in depths of 3-5 feet and adjacent to shoreline spawning habitat with water lilies, wooden pallets or other vegetation in place. 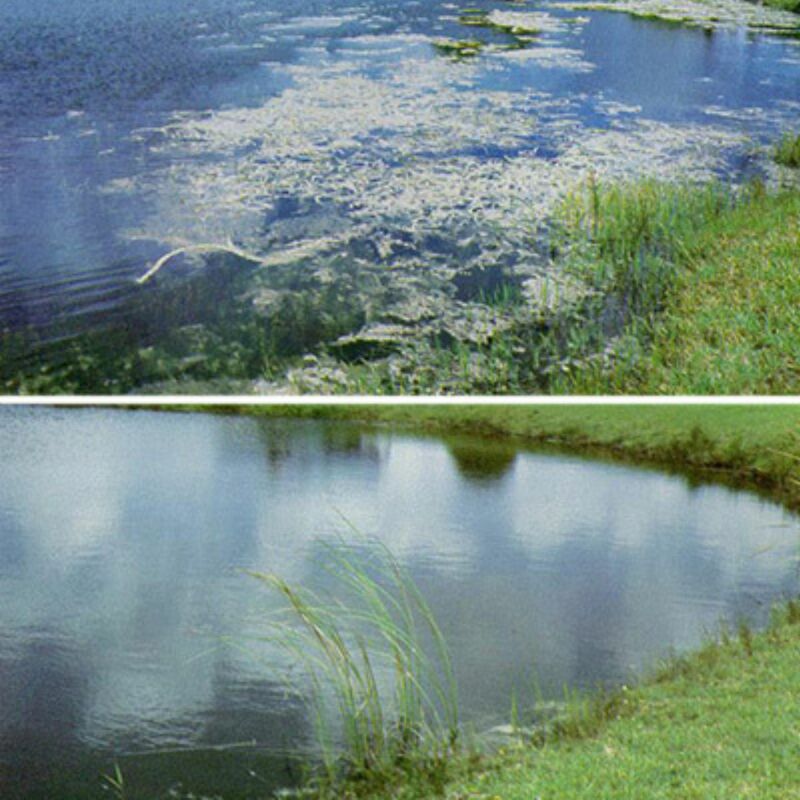 Real world experience has shown the continued control of aquatic vegetation by White Amur is a safer, easier and more economical approach over the long term than any other physical or chemical control strategy for ecologically enhanced and self-sustaining ponds and lakes.